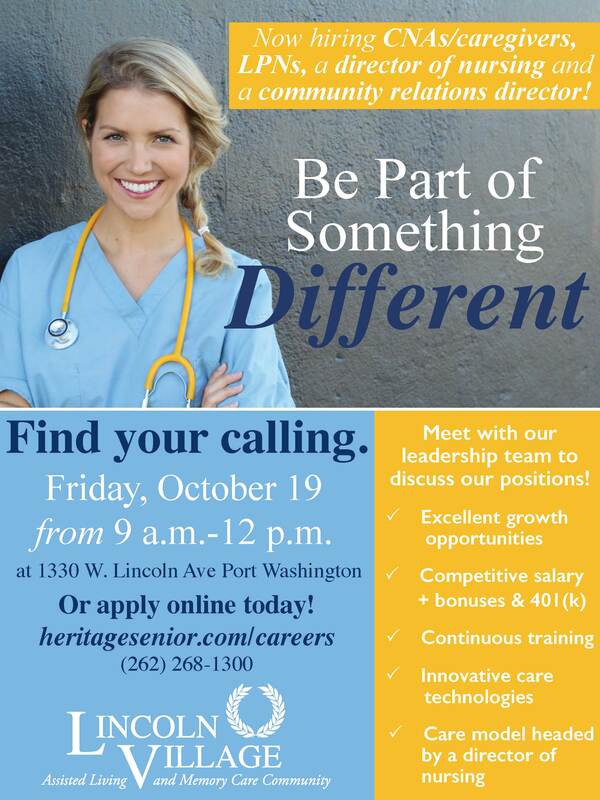 Lincoln Village Senior Living in Port Washington is hiring! We’re looking for talented CNAs/caregivers (all shifts), LPNs, a director of nursing and a community relations director. Come meet with our leadership team to discuss our positions! You can also apply online.